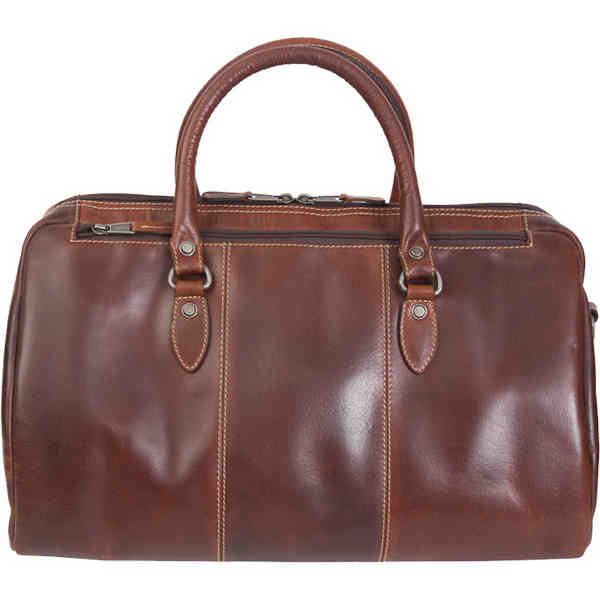 Clients can travel in style with this beautiful Niagara Canyon duffel! It has floor to floor gusseted entry for easy access with double zippers and several small inside zippered pockets for personal items. The padded side pocket will protect a tablet or phone. The poly drill lining protects against spills. They can carry it with the two 18" sturdy easy carry handles or use the adjustable shoulder strap with its body hugging design. The strap has a moveable, padded/non-slip area and will adjust from 41" to 51" for the perfect fit. The full leather bottom with five brass bottom feet will protect it against dirt. This handsome bag comes with a matching luggage tag and the laptop sleeve is 13 1/2" W x 9 1/2" H.
Size: 18 " x 11 1/2 " x 10 1/2 "